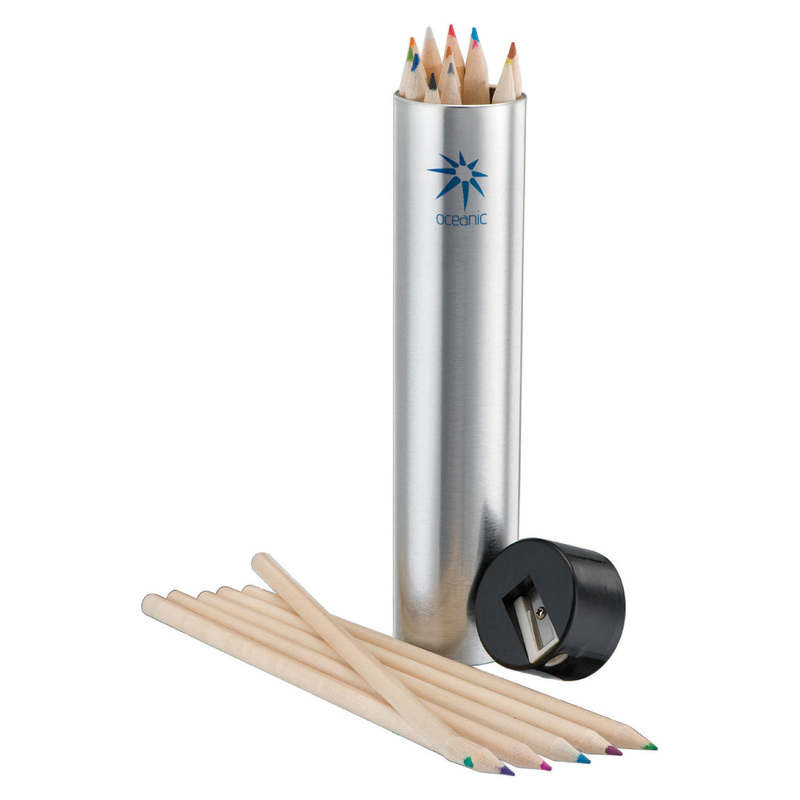 With a premium silver metal tin these colouring pencils stand out from the crowd. Featuring a premium silver tin these colouring sets are a bit more classy, making them great for both adults and kids. To sweeten the deal these sets also have a black lid with a built in pencil sharpener. The set contains a variety of 16 full length coloured pencils. These look great with either a laser engraving or pad print. Dimensions 190mm H x 35mm Dia.